Powered by the Intel Core i5-4570 Quad-Core processor with a speed of 3.20GHz, this desktop can easily respond to various tasks, regardless of their intensity level. 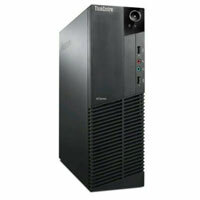 It supplies the right amount of power to your system to be able to withstand exhaustive use and major breakdowns. It is aided by 8GB of memory to support all of your multitasking activities. These features combined together help you make the most out of everything you do.